Jaco Kotze is an internationally accredited Cordon Blue Chef who moved to Hogsback 2 years ago with his partner Dayle Comins. He has travelled as a 5 star chef for 15 years all over the world and decided to retire to Hogsback where they are building they’re own business called Organic Origins that axis around permaculture, yoga, food and therapy. His food style is extremely varied and he takes his influence from the various places he has worked and travelled to, such as UK, Mexico, North Africa, East Africa and Zanzibar, Thailand, Malaysia, Nepal and Turkey to name a few. His great love is teaching cooking and entertaining live audiences. This food demo lunch will definitely be a special treat. 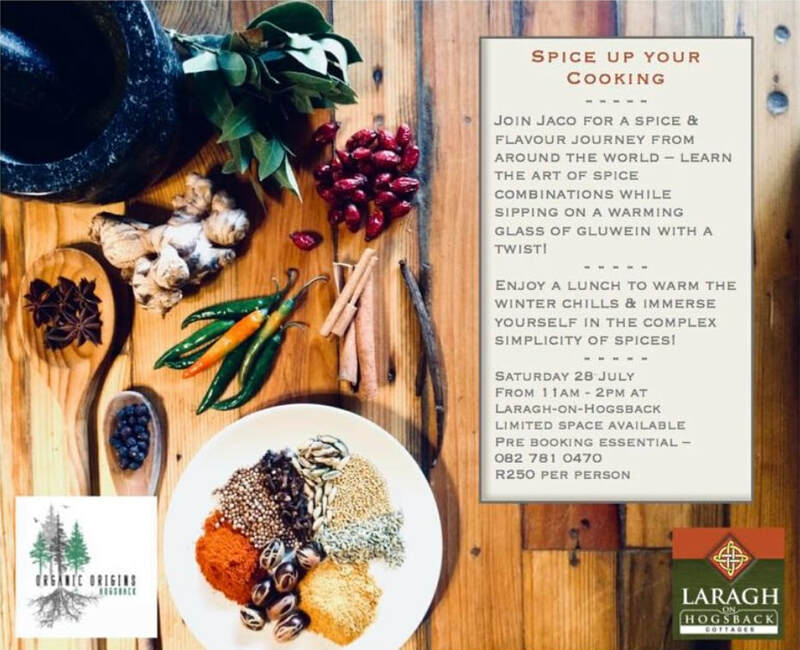 Jaco will prepare a light winter lunch with various spice-enhanced dishes to suite various pallets. His homemade flatbreads, sambals, salsas and condiments will compliment this spicy exotic culinary experience. Even the Gluhwein will present a heady mix of spicy Moroccan and Spanish influences. Main reason for attending this culinary event? 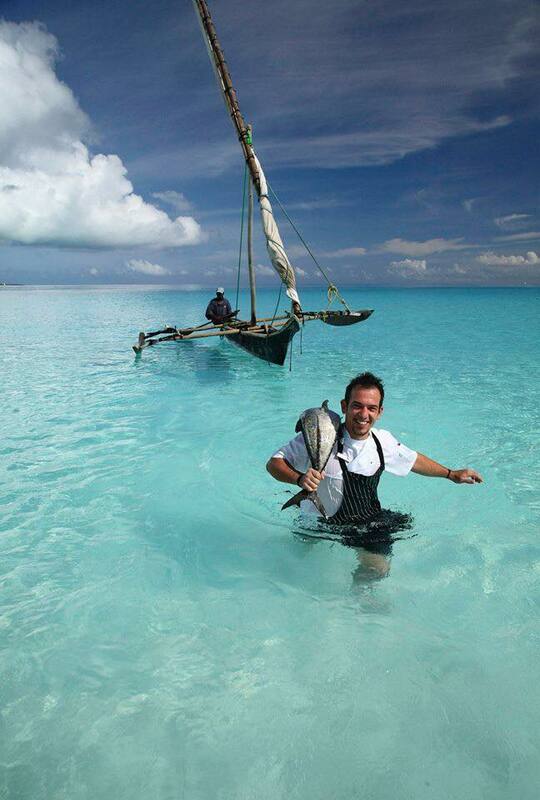 Jaco is not just a passionate food magician, he is entertaining and fascinating to watch in action. He loves engaging with his food fans, while effortlessly conjuring up wondrous culinary experiences. Not to be missed!! !